Tiger Bites is popping up at Two Spoons in Honor Oak Park, taking over the kitchen on Fridays and Saturdays until the end of April 2018. If the bao (above) is anything to go by, it looks like the people in SE23 are in for a treat! 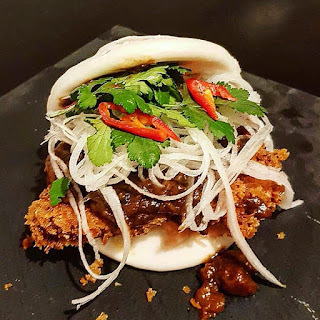 "Whether you fancy mouthwatering bao buns or a vegan-friendly menu, Tiger Bites’ Taiwanese-fusion street food has it covered! From 6pm until 10pm every Friday and Saturday from the 9th of February."